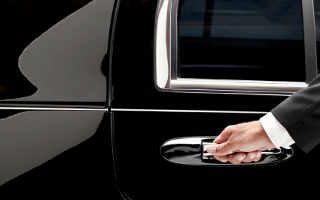 People who live in Bel Air expect first class, professional car service and limousine service. So if you are looking for a dependable first class limousine service with fair rates, please call Los Angeles Executive Limousine. We are available 24-7 with flexible services and exciting fleet of vehicles. We give utmost priority to the customer’s satisfaction and put every effort to make your ride hassle free. Our A+ rating with the old and BBB with no complaints ever says a lot about how we conduct out business! We don’t charge travel time to pick up in Bel Air. We do not charge you travel time to pick up unless in those rare situations when you are in a distant place like Orange County. Flat rates are available for short distance trips..
Limousine Airport Transportation for Bel Air. Los Angeles Executive Limousine service provides limo service from Bel Air to LAX, Long Beach Airport, Burbank Airport, Orange County Airport and Ontario International Airport as well as all Private Airports. We also offer Meet & Greet service at airports for an addditional $13.00 which includes $3.00 in parking. We cater to all occasions anytime and anywhere in greater Los Angeles and Southern California. Be it a business engagement, a concert, a sporting event,, a wedding, a shopping spree, or whatever is your desire, Los Angeles Executive Limousine is there to service you 24 hours a day.